I am interested in what Sue says.Since she says it is not true ,then doesn’ she give us something positive about Han fuqu. This is not true! He never surrendered Shandong to Japanese. 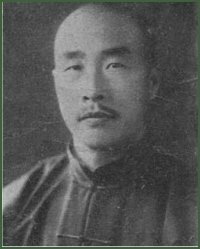 Chiang wanted to find an excuse for killing and assassinating him. So over the years, Chiang made up false stories and spread them around to make people believe Han was not well educated and did all those untrue things. Your website need to have this corrected. And please find out the true historical events before posting something like this. This is ridiculous!